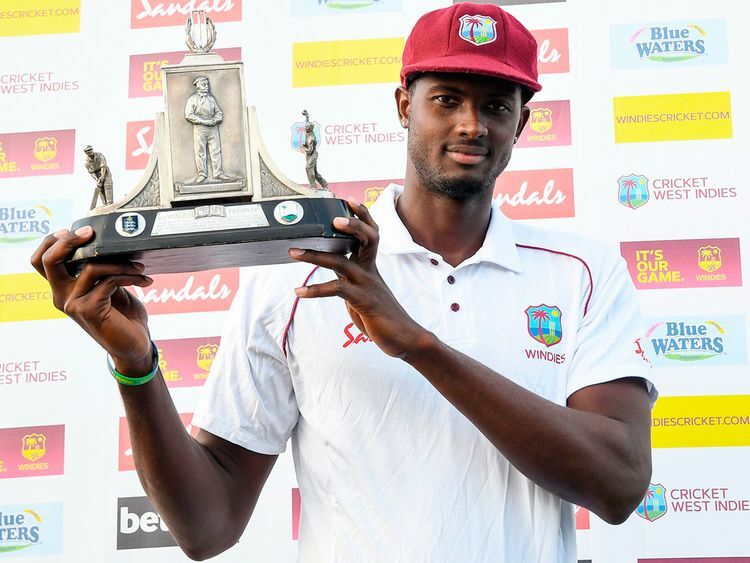 Gros Islet, Saint Lucia: West Indies captain Jason Holder said on Tuesday that his side's main goal is to become the world's number one team after their impressive series victory over England. "We have got to keep improving in the three facets of the game and be clinical and lot more consistent," said Holder, who missed the game in St Lucia through suspension for a slow over-rate. "Our bowlers have done an outstanding job. It is up to our batsmen to contribute more. "We need to continue to build and not rest on our laurels. Our number one goal is to be the number one team in the world so there is a lot to improve on." "I had a chat with Roston before his innings," said Holder. "He was a little disheartened with his dismissals in this series so it is good to see him knuckle down and get some runs, especially in the context of the day. It would have been easy for us to be rolled over." England salvaged some pride and confidence in St Lucia, with Mark Wood's fiery spell which saw him take a maiden Test five-wicket haul in the first innings a high point. Joe Root's players face a potentially career-defining 2019 as England host both the World Cup and an Ashes series. But questions remain, especially at the top of the order where openers Rory Burns and Keaton Jennings struggled for runs in the first series since Alastair Cook's retirement. "I think they've all shown what they are capable (of) and the challenge is to do it more regularly," England coach Trevor Bayliss told Sky Sports. "The early-season Championship matches will play a big role for those at the top. If they score a lot of runs early season it will go a long way to helping them play in that first Ashes Test."